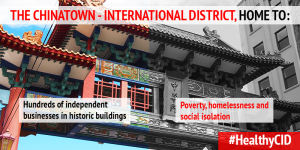 Interim CDA’s Healthy Communities Program is working to bring our community closer to its vision of a healthier, safer, and more livable Chinatown-ID (CID). 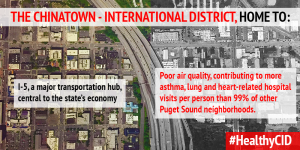 We know that people living and working in the CID are less healthy than those in other neighborhoods in Seattle and King County. Local public health data show that the average lifespan for people living in the CID is seven years shorter than the most well-off communities. The data shows that the CID ranks at the bottom for mental distress, diabetes, preventable hospitalizations, and poor housing conditions. 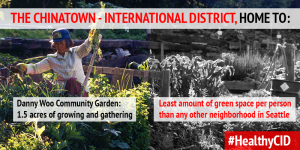 At the same time, the CID contributes greatly to Seattle’s vibrancy and diversity. Thousands and thousands of people visit the CID to eat here, support the small, independent businesses, and to enjoy the representation of AAPI culture. The CID has historically been the first home for immigrants and refugees arriving in Seattle, and often times is today. This neighborhood is the home, workplace and community for immigrants, seniors, and young children. 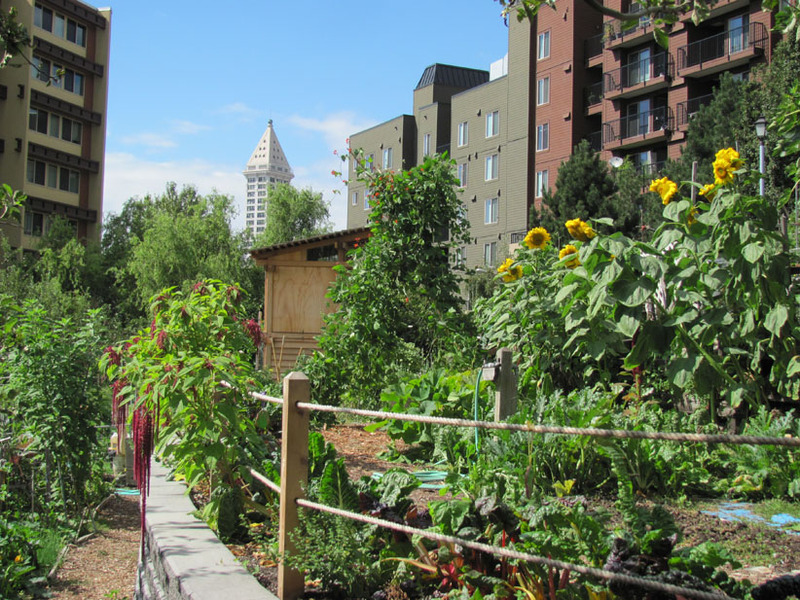 In September, 2016, InterIm CDA, along with Swedish, Public Health – Seattle and King County, and community based organizations, released the 2020 Healthy Community Action Plan to define the complex health and social issues resulting from years of historic disinvestment and institutional racism this neighborhood faces. Research was conducted in the community by the community. The plan provides nine specific strategies and practical direction needed to improve the health, safety, and livability of the CID on the ground at at the policy level. 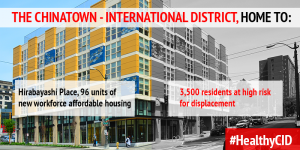 As Seattle grows and prospers, we need to make sure the CID does not fall farther behind. It is time to make sure CID community members are as taken care of as the rest of the city of Seattle and King County; that those living and working here get the same chance at a healthy life as those living and working in Seattle’s most prosperous neighborhoods.